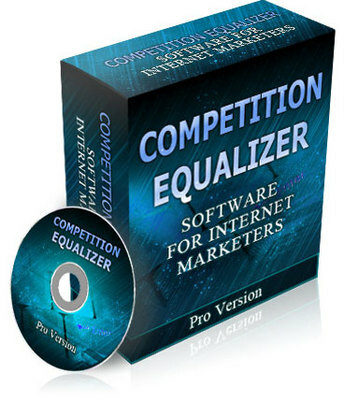 This software gives you the ability to instantly uncover your competitors best performing Google ads and keywords and then use the information to dominate your niche. With all the ads in one place, you can export them, swipe the best parts, and create the most effective ad. You'll know within minutes what the saturation of any given market is (letting you know if you should get in or stay out). * Reveal who your competition is (from strongest to weakest) in any market - so you know within seconds who your main targets are or the people you should turn into your allies. * Uncover how much work a market is going to take in order to turn a profit and which ones can quickly and easily be dominated. * Get instant product research into any market where you want to uncover people's deepest unsatisfied wants - so you effortlessly know what type of product or service is likely to sell like crazy. * Generate keywords with a built-in tool that allows you to investigate any market in minutes, even if you don't have a clue about it. * Import your keywords from a text file or an existing Pay-Per-Click campaign to instantly determine your AdWords competition's strength. * Open up your competitors websites with the click of a button to reveal all their marketing strategies in a fraction of the time it would take to do it manually. * Reveal all your competitors ads in one place so you can export them, swipe the best parts, and create the ultimate ad that out-pulls them all.